In trying to capture what we’ve been up to at Ecology over the last couple of months, I think the theme of ‘participation’ is very fitting. Ecology staff and members have been very active. We had a fantastic AGM and members’ meet up at The Station in Bristol in April, with members participating in lively questions and answers with the directors, and a fantastic ‘Your Ecology’ session where members willingly shared ideas for wishes and expectations for Ecology and its role in building a greener society, including developing partnerships with like-minded organisations, promoting literacy in sustainable finance and campaigning on housing standards and national insulation schemes. As an Ecology Director and as Member Advocate I sincerely thank members for their active participation, which enables us to directly tap into their creativity and ideas! 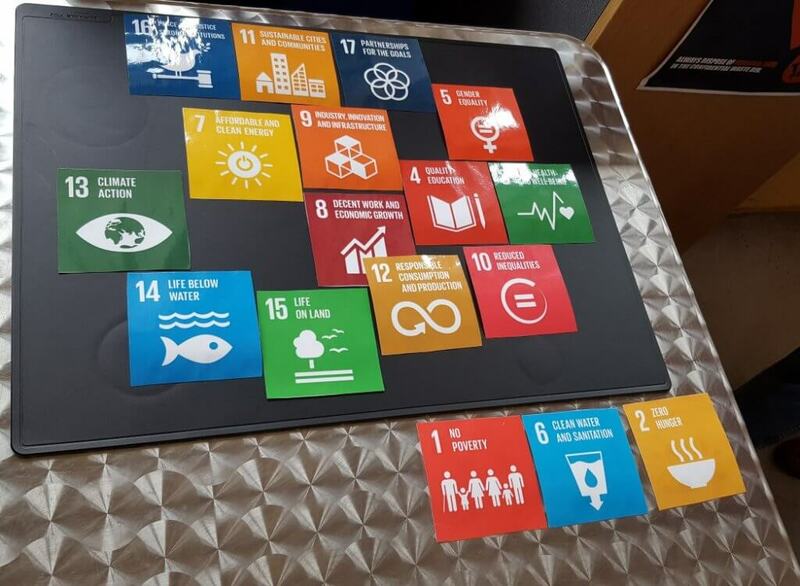 Participation was also the buzz-word at our recent Strategy day, when the whole Ecology staff and directors took part in an interactive game to get closer to the UN Sustainable Development Goals (SDGs). 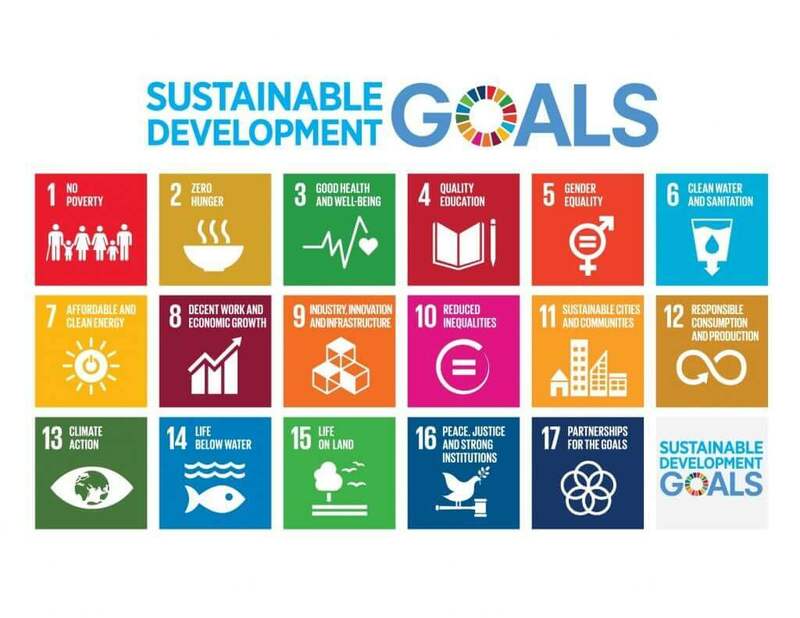 If you are a regular blog reader, you’ll know that the SDGs are a set of goals agreed by 193 countries, to be achieved by 2030 and cover all aspects of sustainable development. They are the nearest thing we have to an internationally agreed vision of the world we want. In our game, first everyone chose the goal which we felt most affiliated with and shared our reasons why – this led to some interesting insights into each other that we hadn’t known! Teams then worked on choosing goals for Silsden (home town of Ecology) and for Ecology itself. The top goals which teams identified where Ecology can make a big difference were 7, 12 and 13, but teams created colourful maps of the goals to show how they are all linked. We’d love Ecology members to participate in this game, so we will offer it at our next members’ meet up. It really makes you think about the kind of future we want and how we will get there! Ecology actively participates in the Global Alliance for Banking on Values ‘GABV’ and we have agreed to join the other 32 financial institutions which are GABV members, in signing the GABV Kathmandu pledge, to provide financial services which foster long term social, environmental and economic development in the communities we serve, supporting the real economy with what our planet can support, whilst placing people and human-based relationships at the core. Thinking more widely, President Trump’s recent decision to withdraw from the Paris climate change agreement , while not unexpected, was disappointing, particularly given the USA had pledged 21% of global greenhouse gas emission reductions which now appear to be in doubt. However his decision appears to have galvanised other countries and even individual US states such as Hawaii and California to affirm their commitments to keeping the global temperature rise to within safe limits. Finally, a reflection on why we participate. It can be rewarding, it can be challenging, but I believe participation enables us to feel connected with our communities and to achieve our goals. For Ecology, as a mutual organisation owned by our members, motivated by our values and our mission to build a greener society, participation is at the very heart of our being. Over the coming year, we would like our members to participate in shaping how Ecology builds a greener society by helping us review and refresh our governing statutes to ensure they continue to capture fully our commitments to sustainability and express members’ expectations regarding our business activities to enact those commitments. We’ll be asking you to join the conversation soon, in the run up to our next AGM in April.